The past 40 years has seen a remarkable renaissance of Polynesian cultural awareness, with rediscovery and celebration of ancient skills and practices. Polynesians are taking pride in their heritage - particularly the seafaring skills that made settlement of the Pacific islands possible. The navigation techniques developed and practiced by these island people were distinctly different from those developed by Europeans. They were originally characterized as primitive by western anthropologists, but we now realize they were in many ways more sophisticated than methods developed in the west. Polynesian navigators are called wayfinders, and their craft is called wayfinding. Western researchers have studied their techniques over the past 50 years. Their efficacy is firmly established; what’s missing is a study of the intellectual requirements of wayfinding. This is significant because European navigators rely on measurements with instruments and pen and paper calculation. Thanks to tools and method, most people can learn to do it. Wayfinding does not use tools or pen and paper; it is all “in the head,” and for that reason it is more challenging. Wayfinders are consequently much less common. This essay considers the cognitive issues and explores a possible relationship between those voyagers and autism. Autism is a neurological difference that was first recognized in people who showed profound disability but at the same time, flashes of intellectual exceptionality. Autism has been recognized since the 1930s but it has undergone a renaissance of its own in terms of understanding in the past 50 years. At first, autism was only diagnosed in people with very severe disability. Then in the 1990s the diagnostic criteria were broadened. The phrase “communication disability” that once meant “nonverbal person” now refers to anything from that to inability to understand facial expressions in an otherwise articulate person. With that change, far more autistic people were recognized, especially kids. At the same time, the perception of autism changed. Where it was seen as a crushing disability, autism is now viewed on a continuum. There are extremely disabled autistic people, but the autism spectrum also encompasses some gifted individuals. The mental gymnastics performed by wayfinders appear to match capabilities bright autistic people are known for, and excel at. At the same time, the wayfinding job and its social context seems to be one where autistic disabilities would be minimized. The closer a knowledgeable (with respect to autism) person looks, the better the fit appears to be. Anthropologists who are accustomed to seeing autism through the lens of disability might initially doubt the connection because wayfinders have traditionally been important figures in island cultures. They are not socially isolated as the disability model might predict. Yet that does not rule out their being autistic. There are many autistic leaders in western society. Profoundly disabled autistics make less than one-half percent of the human population. The number of people who have some autistic traits without total disability is much larger. The autism spectrum – the term for all autistic people – includes 1.5% to 2% of humanity. Adding in people who have some autistic traits but not enough for formal diagnosis yields what researchers call the “broad autism phenotype,” which may total 5% of the population. This essay explores some of their unique attributes and why autistics might have been drawn to wayfinding. We begin by looking at the wayfinding task, and asking a question: what kind of person sets sail in a vessel, with no navigational instruments, into the vastness of the South Pacific, and travels 2,500 miles on winds and currents to reach a destination island that is just 50 miles wide in an otherwise open sea? Wayfinders have extraordinary sensory and calculating abilities – two areas of common strength in bright autistic people. We understand that different types of people are best at certain jobs. Building houses requires manual skills - dexterity, and brawn. Assembling electronic devices calls for precise coordination. A few jobs – like code breaking or software engineering – require special cognitive skills. Some jobs with unusual cognitive demands may be particularly suited to autistic people. A western example of that might be a computer science or math department at a university, where people joke that “half the faculty are on the autism spectrum,” with more than a grain of truth to the statement. Hans Asperger – one of the doctors who originally characterized autism – noted the connection between autism and certain technical and creative pursuits in the 1930s. When thinking of a cognitively demanding job you might imagine engineering or science. Those are good examples, but they are fairly new to humanity in the form we see today. Wayfinding is an example of a job that was cognitively demanding in a less technological society, such as existed in the South Pacific. The job is not physically strenuous, though it does require stamina, as the navigator must be awake and alert for most of a voyage. He/she must remember a vast body of data about the movements of stars, sun and moon. The wayfinder must sense direction and currents from the feel of swells acting upon his vessel, and be attuned to clues in the environment, like birds showing the direction to land. Finally the wayfinder must integrate observations with memory, and extrapolate from what’s known of places previously visited to what is anticipated for the destination. An in-depth description of wayfinding can be found in David Lewis’s 1972 book, We the Navigators. The complexity of wayfinding is easily underestimated, particularly compared to western navigation. Anyone observing the navigator aboard a modern merchant ship sees a person surrounded by high-tech gear – satellite navigation, depth finders, radar and more. The array of equipment fairly screams out “complex task!” A Pacific wayfinder, in comparison, has nothing in his/her hands, and no tools or aids in sight. They simply stands on the ship’s deck and observe, occasionally giving directions to the helmsman. There is no observable evidence of the calculations taking place in the mind. Until recently, non-sailing anthropologists doubted early wayfinders had the ability to deliberately sail open canoes thousands of miles between islands like Tahiti, New Zealand, and Hawaii. After all, European navigators didn’t learn to calculate longitude (position on an east-west axis) until the 18th century, and they thought that was essential to precise navigation, especially when it came to finding islands. Prior to developing the ability to calculate longitude European sailors were left with latitude (north-south orientation) as their only measure of position. Early navigators had little understanding of ocean currents or other factors that might affect their course. Luckily when Europeans ventured west they had two huge continents as targets. No matter what direction he sailed, an early European navigator would fetch up somewhere on the shores of North or South America. The Pacific Ocean presented a rather different problem. There, tiny islands were scattered over millions of square miles of deep trackless ocean. A Pacific navigator needs to hold a course much more precisely to avoid missing his targets. That was a problem European navigators of the last millennium did not solve until the invention of the chronometer, so anthropologists assumed the Polynesians – who did not have chronometers – must never have solved it for themselves. In a classic display of ethnocentricity some anthropologists concluded Polynesian sailors must have reached distant destinations only by lucky accident. Their arguments were buttressed with stories of shipwrecked European navigators. However studies showed winds and currents make it impossible for a boat to drift from Tahiti to Hawaii yet legends describe voyaging between the two islands. Polynesians insisted the settlement of their islands was purposeful, not accidental. Westerners also doubted the ability of craft described as “canoes” to cross vast distances of open sea. 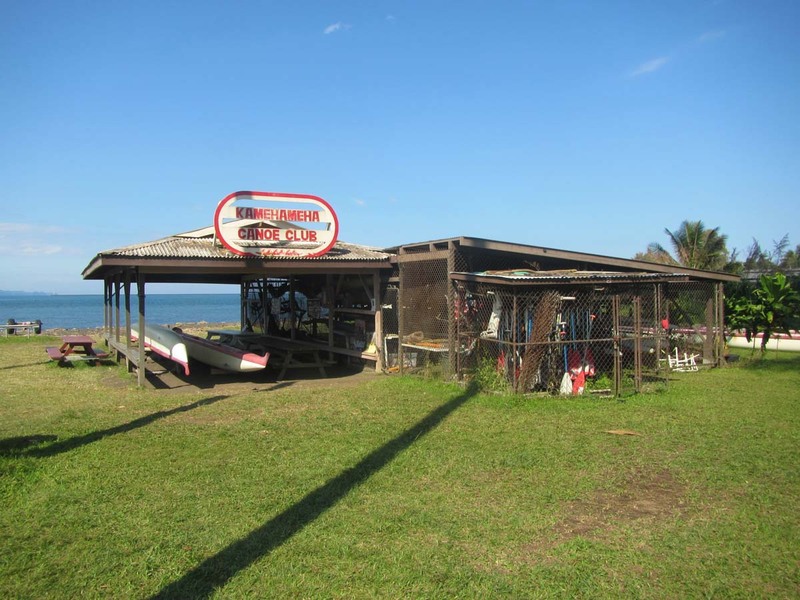 That notion was largely founded on misunderstanding – a Polynesian voyaging canoe has nothing in common with the car-top craft of the same name that Americans know and love. In fact, Polynesian voyaging canoes have much more in common with the sophisticated twin-hull sailing yachts that routinely cross the oceans today, and in many ways they are even more rugged and seaworthy. 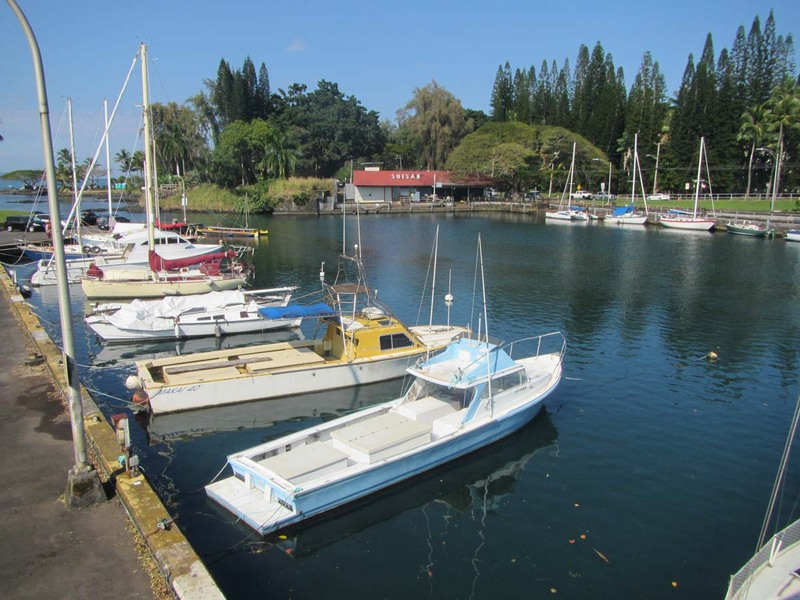 A group of Hawaiians set out to prove the hypothesis that their boatbuilding and navigation skills were sufficient to have settled the vast Pacific. In 1975 they launched the first Hawaiian voyaging canoe to set sail in 600 years – the Hōkūle‘a. Built in the pattern of the voyaging canoes of the last millennium, Hōkūle‘a proved to be a remarkably capable craft. When navigated by traditional methods of star and current observation, Hōkūle‘a crossed 2,500 miles of open sea between Hawaii and Tahiti to make landfall with as much accuracy as any western craft in the pre-GPS era. The navigator for that trip was Mau Piailug, a wayfinder from the island of Satawal. His apprentice was Hawaiian Nainoa Thompson, who continues as a wayfinder today and leads the Polynesian Voyaging Society. Will Kyselka’s 1987 book An Ocean in Mind describes these voyages and the individuals who made them. Piailug, Thompson, and the wayfinders they trained show that accurate navigation is possible without the use of any modern instruments. The mind and hand alone are sufficiently powerful tools, given correct training and suitable cognitive powers. The culture of Polynesian navigation that has been passed on from master to apprentice is once again enjoying resurgence thanks to groups like the Polynesian Voyaging Society. When we consider that traditional navigation is a skill Polynesian cultures have guarded and preserved for over 2,000 years we might ask if there is anything special about the individuals chosen to become navigators. I began to wonder about that when I learned of the cognitive complexity of Polynesian navigation, particularly the idea it is “all in the mind.” The difference between that and European-style navigation is striking given that the latter relies on specialized tools and pen and paper calculation, where the Polynesian system uses no tools at all yet it produces an equally functional result. The early Polynesian people had more of a seafaring culture than what is retained today. Young navigators apprenticed themselves to master navigators and learned the stars, swells, and currents through observation on long ocean voyages. Wayfinder accounts of the last century suggest that apprenticeship started as early as five years of age. Navigators often ran in families, with older men training promising sons or nephews. That process has been largely lost with the disappearance of traditional long distance Polynesian sailing craft, though there is a recent move to resurrect it. Modern-day Polynesian navigators train for voyages by looking at the stars and “learning the sky.” They make mental maps of the sky and gain understanding of the relationship between time, one’s position on earth, and the stars. This gives them a deeper understanding of the relationship of the sky to one’s position on earth than that held by European sailors of the last 1,000 years and it is key to their success. In addition to the stars wayfinders learn to read ocean swells and currents and interpret countless other clues that point the way to land over the horizon. Man’s ability to acquire and use this knowledge is a remarkable display of human cognition. When westerners learn navigation, they do so within a complex framework of map reading and advanced mathematics to calculate latitude and longitude. For westerners, navigation also relies on precise timekeeping – hence the importance of the chronometer in our culture. Pacific navigators do not use those tools. Their navigation is more elemental. Pacific islanders find their position accurately (with respect to their home and destination islands) without knowledge of western math or celestial mechanics. They grasp and manipulate the complex concepts of position fixing instinctively. A westerner can learn basic instrument navigation in a few weeks. However most don’t even do that – they rely on navigation devices to show the way with no training at all. The downside of that is, they are totally lost if the tools fail. Polynesian wayfinders spend a lifetime training their minds but they are then free of dependence on tools or technology. The more we learn about wayfinding the more respect we can have for the few people who master its challenges. To put their achievements in western terms, master wayfinders are in many respects Olympians of the mind. After studying all the requirements, it appears that certain autistic people – including those of the broader autism phenotype – are uniquely suited to the cognitive demands of wayfinding. Very few non-autistic people can gaze at the sky with enough intensity and focus to burn an accurate map into their heads, particularly as the map moves when the navigator changes position, time or season. Yet anyone who works with autistic people would look at that challenge and see an autistic strength. That’s not the only hint of autism in wayfinding. In the accounts of Lewis and others, wayfinders exhibit what may be other traits of autism, such as lack of social awareness. Autistic people tend to have some degree of social disability, either from challenges with language or blindness to other social cues. Polynesian sailing vessels had small, tightly knit crews, where such disabilities would be minimized by familiarity. A Polynesian wayfinder would be less disabled by autism in his job than he might be in most traditional western workplaces. What’s most important to the wayfinding role are some of the gifts certain autistic people have. These gifts are part and parcel of autism because they have the same neurological roots as the disability aspects; the two go hand in hand. Autism is not widely recognized among present-day native Hawaiians and Polynesians. Yet studies suggest it should be just as common there as elsewhere in the world. In reading accounts of present-day Polynesian navigators, I see many signs of the broad autism phenotype. · Social isolation – wayfinders are often portrayed in text as loners or strongly independent. Being independent is not itself diagnostic of autism, but independence and aloneness are common traits for autistic people. · Accounts of wayfinders describe multiple generations of navigators, who were trained from early childhood, and who then trained the next generation. Autism has a strong inherited component, so the cognitive abilities needed for wayfinding would likely be passed on in a family line. · In his descriptions of wayfinders, Lewis described men who were very tied to routines. He described several instances of distress when routines were broken. Restricted interests, love of routine, and distress when routine is broken are diagnostic traits of autism. · Most descriptions of wayfinders describe them as very focused on their craft. Extreme focus and extraordinary powers of concentration are common in autistic people. · Video of navigators like Mau Piailug (See maupiailugsociety videos on youtube) shows scenes an autism therapist would describe as “very autistic.” Behavioral examples include limited facial expressions; animation of the bottom of the face but not the top; gaze at the floor rather than other people; and cadence and pattern of speech. While no one would propose to render an autism diagnosis from a short series of videos, it is more possible to recognize the broader autism phenotype. · Wayfinders need an ability to sense subtle clues in the environment, like the way ocean swells feel under the boat. Autistic people are prone to extraordinary sensory sensitivities, and they are typically good at recognizing patterns or deviations from them (like the way swells feel.) In his accounts of voyaging with Piailug, Thompson describes how the older man could sense and feel things invisible to him. That could well be an example of superior sensitivity that might be disabling in some contexts on shore but was a great gift at sea. · Wayfinders rely on knowledge and logic as opposed to emotion. Lewis makes that point when quoting wayfinders, who assure him their craft is based on knowledge and not superstition or belief. A preference for logic over emotion is suggestive of autism. · Given the number of stars one can see in the sky, a person’s ability to memorize the position data that is revealed by patterns of stars aligning or setting must be extraordinary. Thompson says he uses several hundred stars for navigation. Such exceptionality is extremely rare in the general population but somewhat common among autistics. · Exceptional calendar calculating skills are very useful for manipulating and evaluating celestial maps in the head. Autistics are the only group of people known to commonly possess calendar calculating skills. Psychiatrist Darold Treffert has suggested more than 6% of autistics have extraordinary calendar skills. · Exceptional visual memory is necessary to acquire the star maps needed for navigation, and that too is common in autistics but rare in the general population. While none of these skills are individually diagnostic of autism they are – when taken together – strongly suggestive that a person fitting this wayfinder description is part of the broader phenotype, and may be autistic. Of course, not every autistic person is a potential wayfinder. The required ability set is probably very rare in the population but to the extent it exists at all, it will be found among members of the autism community. Some researchers refer to autistic people as “nature’s engineers” because they can learn complex computational skills on their own, without the need for schools or modern teaching practices. Exceptional focus and concentration are autistic traits, and in this case they may have helped Polynesian autistics to acquire the skills to design and then navigate their vessels, thereby facilitating the original settlement of the Pacific islands. The question of autism in Polynesian navigators actually raises another question – Does a western diagnostic label that we associate with disability have any relevance when applied to a wayfinder in the South Pacific? That question struck me as I watched old video of Mau Piailug, who died in 2010. When I watched him in the videos I saw many signs of the broad autism phenotype in his speech, his expressions, and his behavior. Yet he was a respected leader in his community; there is no evidence that anyone perceived him as disabled in his lifetime. To apply a disability diagnosis now from afar would strike many people as disrespectful and wrong. A significant number of Polynesian wayfinders may have been autistic throughout the years. We have no way to know. The fact is, autism per se had nothing to do with their finding their profession. They were chosen for their ancestry or their behaviors – both of which might suggest “autistic” to us but suggested “navigator material” to the Polynesians. It’s worth pondering which worldview is more personally empowering. On a pacific island world, an autism diagnosis has no meaning. The place it has meaning is in our hi-tech western world. It’s here that autistics are disabled, and seeking explanation and insight. For an autistic teen in a modern-day Hawaiian school, the idea that a great wayfinder like Piailug may be “autistic like me” is very empowering. What it shows is that a class of people who are mostly disabled and less capable in our society can be exceptional in other circumstances and cultures. John Elder Robison is an autistic adult who studies the role of autistic people in society. He navigates a small boat on inland rivers near his home in Western Massachusetts. He is the NY Times bestselling author of four books on life with autism: Look Me in the Eye, Be Different, Raising Cubby, and Switched On. Great article, it gives me a lot to think about. I have been looking into and working on developing my right-brain capability, as you know autism is characterized by extreme left-brain systermizing. All of the attributes and traits described here for Wayfinding strike me as not just very right-brained activities, but activities that require a firm balance in both left and right hemispheres. Hemispheric synchronization. It, however, appears "extraordinary" to us because global society as a while is strongly left-brained, so any foray into right-brain or hemispheric synchronization appears in such a strange/mythic/unusual way. As part of my own journey into my right-brain side, I have developed intuitive abilities that are so far in range that it would be exhaustive to describe. However, one of these new abilities is similar to Wayfinding. I am a person who has gotten lost hundreds of times in my life and often found that trying to navigate myself ends badly. Recently, I have been taking spontaneous trips either into natural areas or into unknown urban areas, where I would normally be very lost and be unable to keep my schedules and day in order. For many months now I have been able to navigate myself solely through instinct and not thinking about the direction or time much at all. I am even able to keep specific deadlines whilst relying on pure instinct (such as the last bus home). I am able to navigate myself to specific places or even specific items that I might need, just as firewood. This is all purely on right-brain instinct and little to no left-brain tracking. I am normally very sceptical of an autism label on people from the past, as I think what you are describing in this article isn't so much autism, but simple an expression of a very broad autism phenotype that is expressed because of the specific nature of the Wayfinding work (possibly due to hemispheric synchronization). I think this can express as autism today in our kind of global society which is suffering from a severe case of oversystemization. I should point out that I think you neglect the importance of neuroplasticity and how the human psyche can vary throughout time and place. The people in that distant past were almost certainly more rooted in their right-brain, therefore able to casually perform feats that would seem fantastical to most people today. I met Dr Felipe Fregni and I was invited to his lab for a summer non invasive bain stimulation training program in 2012. When I came back I was convinced of the potential therapetic uses of TMS in diverse neuropshyquiatric pathologies. I am now working with autism and I have seen impressive results. Here our budget for research is very limited and nobody is interested in this field for research. But there are a lot of patients demanding treatment for this condition and we are offering it. We know what we are doing and we are also confident because our job is based on ethics, knowledge and responsability. Considering this, I find unfair your judgement of other researchers worldwide (https://youtu.be/p-kY9zBXTiQ), if They are not working at Dr Pascual Leone Lab. We do need support, there are a lot of families waiting for this treatment to be accesible for children. Se admire hoy but we are also surprised about the very pessimistic message, since you are a reference for us as researchers and families worldwide. Does autism have meaning in other cultures?